Snatchers are an enemy in Bloodborne. 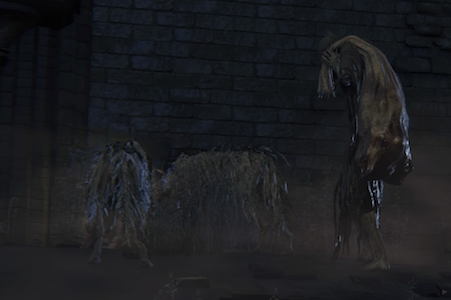 Snatchers are tall, hooded monsters that appear in and around Cathedral Ward after the Hunter defeats the Blood-Starved Beast. They sling a large bag over their shoulder that they use to attack. If killed by a Snatcher, the Hunter will be brought to a prison called Hypogean Gaol. This is the only way to enter the Unseen Village before the red moon. Much of Yahar'gul will remain inaccessible until Rom is killed. However, after Rom is dead and the red moon hangs low, all Snatchers will mysteriously disappear from Yharnam. Snatchers have a large amount of health and a high damage output, however they are very slow and are easily capable of being backstabbed even in the middle of a fight. However, when about a third of their health is depleted, they will enter a frenzy mode and begin attacking much more quickly as well as having a larger move-set. These enemies have an extremely weak poison resist. If you throw a single poison knife, the HP will be drained until 1/4 of his life remains. The opening attack against this enemy is usually the decisive one. Heavy-weight weapons will stagger the enemy with a fully-charged attack and will enrage it, if it has lost around a third of it's health. During the enraging animation, rain a flurry of heavy blows upon it to dispatch it quickly. A snatcher becomes a really formidable foe after losing about one third of their hit point and going frenzy. They must however channel for a while to do so, which gives the player a wide enough window to reposition behind them and charge up a R2 attack for a viseceral attack. One of the easiest ways to kill a Snatcher is to get a backstab-viseceral attack combo before it goes into its frenzy mode. 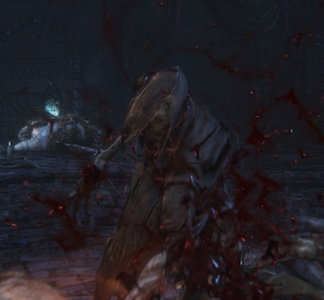 It immediately channels its frenzy animation after getting up, with their back facing the player, leaving it open to another backstab-visceral. However, the first backstab can be difficult to pull off, in which case lowering its health enough for it to start its channeling animation, and then performing a backstab-visceral then is enough to deal a formidable amount of damage. They can also be knocked down with Burial Blade and Hunter Axe's two handed charged strong attacks, providing you enough time to reach their back and prepare your backstab-visceral attack combo. When it raises up its right arm to land a punch, it can be staggered with guns and subsequently land a visceral attack. A Snatcher will kill any hunter in 2 or 3 hits. Do not under any circumstances trade hits with them. Do not engage more than 1 Snatcher at the same time. One would stagger the player with their singularity pull move while the other can quickly kill them. 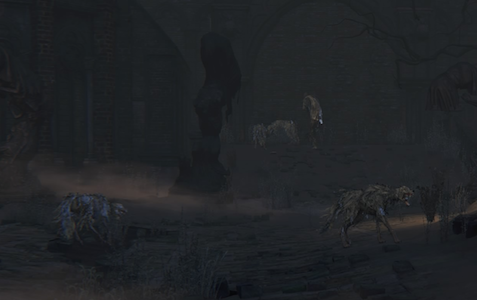 The Snatchers which appear after Blood-starved Beast is killed can be found behind the Oedon Chapel in Cathedral Ward; near the tomb entrance to Old Yharnam; below the plaza to the right of the Grand Cathedral; in the streets below the Healing Church Workshop; and near the dog cages in the Forbidden Woods. Shaman Bone Blade can be used on them so that they fend off other enemies. The one behind the Oedon Chapel can become a devastating helper for killing the Suspicious Beggar. 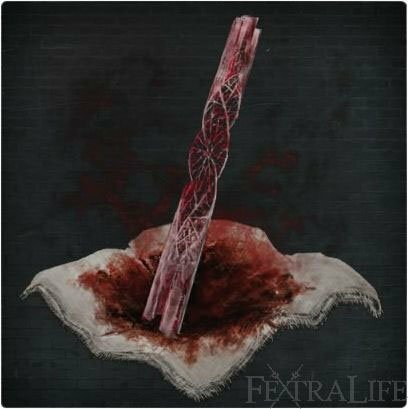 They can also appear in Pthumeru Chalice, but with half of their regular amount of health, while they have standard health in Central Pthumeru Chalice and doubled health in Lower Pthumeru Chalice. After killing Rom, the corpses of the Snatchers formerly inhabiting Yahar'gul can be seen slumped against walls around the village. If you die in a dungeon by way of a Snatcher after kill the Blood-Starved Beast, you will still be brought to Hypogean Gaol. So apparently they can grab you??? Just encountered one in the dungeons, it grabbed my character, held &apos;em in the air and slammed &apos;em on the ground, one-shotting me? they dispear after you find yharghoul in the main story, i found one of their dead bodies (with two stone chunks) in the place where you rescue adella, what happens to them?, the town folks transformed into beasts kill them? just encountered one for the first time. no word in any language can describe how much i utterly loathe these things. 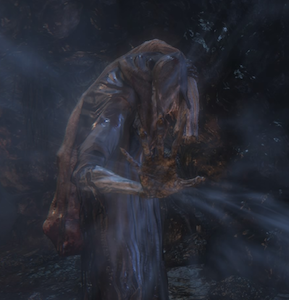 Do you guys know if I can access the Hypogean Gaol by dying to a Snatcher in Chalice Dungeons? 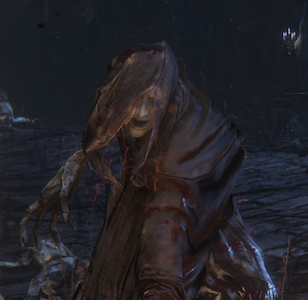 Cause I&apos;ll start a ng+ run soon and I&apos;d like to obtain the gesture from Djura, but to do so I must enter Old Yharnam from the Unseen Village side, that means loose Adella (lost in my game cause already died in that part of the game). 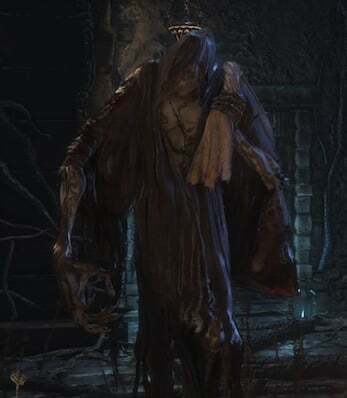 I always assumed these bros were Pthumerians like the wiki always says, but then I noticed how weird it was that they&apos;re the only ones that spawn outside of a Chalice Dungeon AND a Nightmare (I&apos;m counting the Unseen Village during the Paleblood Moon a "Nightmare" on account of the otherworldly enemies). It&apos;s also curious that the Chime Maidens are unhindered by any of the strange beasts called forth during the Paleblood Moon, whereas all of the Snatchers have been ruthlessly slaughtered. 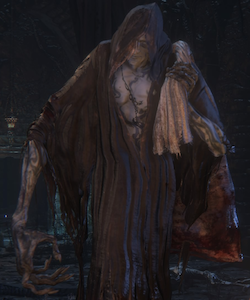 Under their robes, they&apos;re actually quite different from the Pthumerians, and don&apos;t seem to have the characteristic black eyes, nor is their skin quite as pale (also they have a sweet tat on their chest, but that doesn&apos;t necessarily mean anything). Actually, I started wondering if maybe these guys are similar to the Tomb Prospectors sent into the Old Labyrinth that were driven mad by eldritch knowledge. Their garb is remarkably similar to the Madman&apos;s Garb, minus the bottles of blood, noose, and weird choice of scarf. Second, the Prospectors were commissioned to collect materials and treasures from the Old Labyrinth, so perhaps the sack they carry, though now it is used to collect test subjects, once served as a means of transporting "specimens." Going back to the topic of their unusual skin tone, it&apos;s noticeably more akin to that of the Forgotten Madman boss in the Chalice Dungeon than it is the pale Watchers. Their bizarre use of "gravity" attacks might also be related to the eldritch Hunter Tools used by the Forgotten Madman, especially the Augur of Ebrietas. 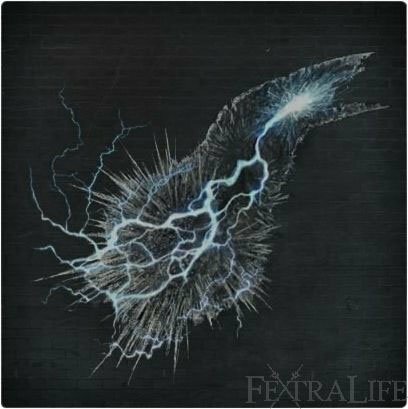 I imagine that some of the mad Prospectors could have "evolved" into these strange brutes, and eventually found their way back to the surface, then disbanded from the Healing Church along with the School of Mensis and became gatherers instead. Once the Paleblood Moon finally comes forth, the failed and vengeful experiments are revived and exact revenge upon their captors, leaving their mangled corpses behind. However, not all of the madmen were able to resurface, and still wander the Pthumerian ruins in an endless pursuit of answers. One spawned next to the altar where you first meet Alfred for me..
Am I doing this area too early? The snatchers can instantly kill me in their frenzy mode, and I can barely get paarl down to half health. I haven&apos;t taken down Rom yet, but being killed by a Snatcher no longer sends me to the Gaol. Am I locked out for the time being? Imagine being so retarded that you imprison someone without even locking the door. These things are Pthumerian, no? Some insight. If I were them, I&apos;d ask the Great Ones for a refund on the Eldritch knowledge thing. Hypogean Gaol is by far the best early-to-mid game Echo farming area. Hunter&apos;s Axe + spin-to-win your way through the snatchers, the eye collector, and the two pigs outside, and you&apos;ve got yourself 10,000 echoes. Rinse and Repeat. 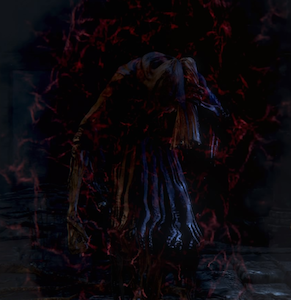 After killing the Blood-starved Beast, I had a strange encounter with a Snatcher. I had opened the main gate with the hunter chief emblem and gone around to the Oedon Chapel shortcut. When I opened the gate there, expecting to fight the Church Servants around the bonfire, I instead found them dead in their spawn locations. At the bottom of the stairs there, the other Servant was slumped dead against the carriage. Then I encountered the snatcher. Scared the piss out of me. I had not been to this area since resetting the area, so I could not hace killed them. My only guess is the Snatcher killed them. Anyone else had an encounter like this? None of the snatcher&apos;s attacks can be parried, I just spent literally an hour testing it and he doesn&apos;t have a single one. It seems the information on the locations on this wiki isn&apos;t exactly correct when it comes to Cathedral ward ( atleast not from my perspective ). 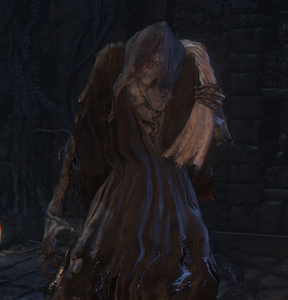 I&apos;ve found the snatcher behind Oedon Chapel and the one to the right of the chapel leading to Old Yharnam. But according to this wiki there should be one &apos;&apos;below the plaza to the right of the grand cathedral&apos;&apos;. Where exactly is this? Is that possibly to the right of the grand cathedral where to the two hostile hunters are? 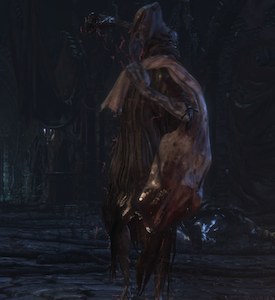 The ones in chalice dungeons have almost no health at all! The first time I faced these *****ers was actually in a chalice. What I did was unleash a flurry attacks with my Stake Driver until I was almost out of stamina. While he was going into his frenzy, I did the retracted-stake charge R2 and killed him. I would test if a single charge R2 with that firm of Stake Driver kills them immediately like a lot of other enemies I face, but I rather not. Also, I actually see that they go into frenzy at 1/2 health, not 1/3. Are there any other confirmed locations that these enemies spawn, before killing Rom, besides around Cathedral Ward? 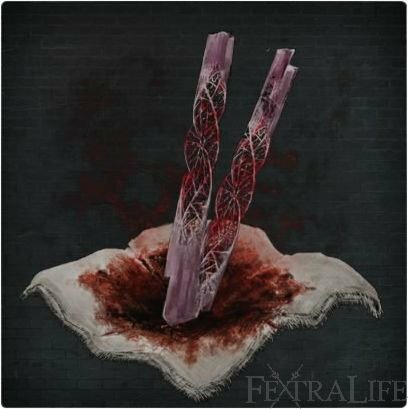 I just killed well over 20 of these and got "Twin Blood Stone Shards (x1/x2)", " Blood Vial (x1/x2), as well as "Bolt Paper (x1)"
Another way to kill them (this method works if you&apos;re using a fast weapon) is to hit them once so they are alerted of your presence, then dodge the first attack they do. After that attack them in the build up to their 2nd attack that they do ( or parry + riposte) After this attack they should go to frenzy with much less health than they normally do, at which point it is a case of backstabbing them and visceral attacking them. I have 9 Insight, I&apos;ve killed Amelia (my third boss), it&apos;s now night. I don&apos;t want to aggro Djura so I activated the Old Yharnam lamp and then went back to trying to lay Amelia to rest. Right now I&apos;m grinding Henwick Lane for blood shards and cash. Should I be seeing Bagmen around, or do I need more insight, or do I just have take the aggro and ignore him to kill the Blood-starved Beast and THEN go get carried off to unspeakable terrors and adventure so I can do this without killing a guy who seems really ***** cool?